The process of making a license online is very easy. 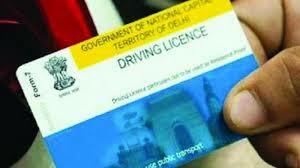 If you are planning to set up a license and want to avoid cutting the RTO, then you can also make an online application. Initially you have to create a learning license. After 6 months, a permanent license is made. Once the online licensing test is available in 48 hours, it will get online learning license online within 48 hours. It is 6 months old. During 6 months you will have to apply for permanent license. After 1 month of getting the Learning license, after 6 months, you have to return to the RTO office with your vehicle and then give a driving test. Permanent license is available for the second time on passing the test.